Robertshaw, a global engineering and manufacturing company focused on controls and solutions for residential white goods and commercial appliances, announced that it has signed a definitive agreement with Star Capital SGR and other shareholders to acquire 100% of CastFutura S.p.A., a provider of combustion, safety and ignition products for cooking and heating applications. Since its founding in 1969, CastFutura has built a strong reputation and track record for offering innovative and reliable products for gas systems including burners, thermocouples, spark plugs, igniters and switch harnesses. “As part of Robertshaw’s growth strategy – said Mark L. Balcunas, CEO and President of Robertshaw – the acquisition of CastFutura expands our cooking presence in Europe, South America and the Middle East and reinforces Robertshaw’s commitment to our customers and to the markets that we serve”. 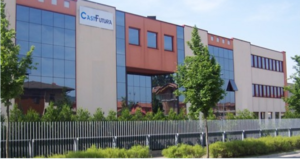 CastFutura employs approximately 750 employees and operates 6 manufacturing facilities globally along with their headquarters and engineering center in Terno D’Isola, Italy. Terms of the transaction were not disclosed. Closing of the transaction is subject to customary conditions precedent including antitrust clearance.